As a college student, you may not feel like a full-fledged adult just yet, but establishing your financial independence shouldn’t wait until graduation. While you might currently be supported by student loans or the benevolence of family, it’s still important to get into the habit of budgeting, saving, and responsible spending. That way, when career opportunities knock, you’ll already be on the firm financial footing of other young professionals. Here are four steps you can take toward financial independence even if you’re still in college. You may already have some experience in the workplace. But if not, college is the time to start building your resume. While the job you choose should have opportunities for advancement and demonstrate responsibility, the position you take should also be flexible enough to allow you to maintain a focus on your studies. Tutoring or working as a personal or research assistant can give you a professional boost in addition to providing a steady source of income. If those jobs don’t grab your attention, look for on-campus jobs as many offer more flexible work hours or downtime you can use to finish class assignments. The key to financial independence starts with making a simple budget. 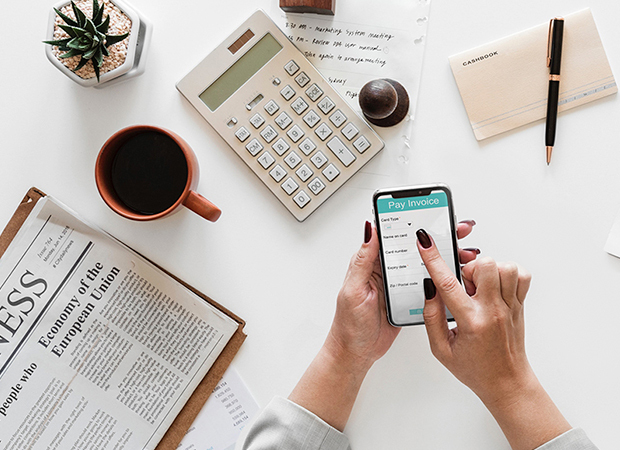 Track your expenses and begin to comparison shop for ways to whittle down some of those monthly costs, like a cheaper cell phone plan or a better interest rate on your credit card bill. You’ll be surprised how cutting costs for even minor monthly expenses can make a big difference to your budget in the long term. Smart cuts help you focus on better purchases and limited spending while you’re still a student. As a student, you’ve probably already been bombarded with offers for credit cards with attractive interest rates, but choose carefully. While it’s essential to establish a line of credit and build toward a healthy credit score, it’s also entirely too tempting to use those same credit cards to live beyond your means. Try not to charge items you haven’t explicitly budgeted for and focus on keeping large amounts of debt from building up. Once you’ve made a budget and begun to trim those expenses a bit, start to squirrel away a little bit of savings every month. Even small amounts of money matter, and over time they can help you build up a larger nest egg to cushion the blow of unexpected costs. Now is also an excellent time to plan how you’ll pay off those student loans and what your minimum income needs to be once you’ve launched your career. Your future self will thank you for the self-restraint, and hopefully, you’ll be able to achieve financial independence sooner rather than later. Don’t forget that GradGuard has your back! Be sure to always refer to our blog for further tips on financing your future.